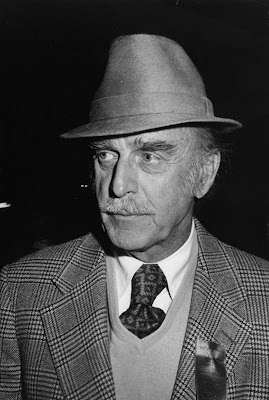 In the 1930's, thin, henna-headed John Dehner popped from show biz industry job to show biz industry job, jockeying discs and drawing cartoons for Disney. He even played some piano. One can see him dreaming of being in front of the camera, and it may have been the part of the villain he craved. That's what he's known for, anyway. Dehner often played a crooked bank owner or a leader of a band of desperadoes in movies and TV Westerns. He was booked to play various bad guys in the radio version of Gunsmoke. However, he wasn't always a villain or a one-time character. He landed the role of playing Paladin on the radio version of Have Gun--Will Travel. He co-starred with Ben Wright and Virginia Gregg. We love the pencil-thin mustache, John. Thanks for the memories! June 22, 1920 was when American voice and character actor Paul Frees was born. Born Solomon Hersh Frees, his voice range that covered multiple octave levels made Frees a popular pick for voice characterizations over 40 years. To this day, some of his voice offerings can be found in the Disney company of entrees, including Walt Disney World. Beginning in 1942, Frees would extend his voice to cartoons, and other venues of entertainment...including commercials. While beginning a career in radio, Frees was drafted into WWII and fought in the European theatre. Injured in Normandy, he would would convalescent for a year at home. His return to radio would endear him to millions of Americans as a voice actor in such popular programs as Gunsmoke and Suspense Theatre. 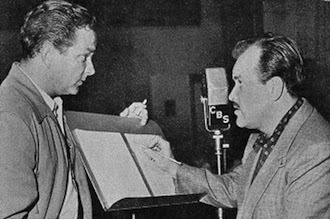 In fact, if actor William Conrad was not the voice narration, Paul Frees would be heard giving the voice to Suspense. In the radio drama The Player , Frees handled all the parts; cast and storyteller. Paul Frees talent ran into handling various dialects and into narration. Disney loved using Frees because of the versatility of his vocal talents. He would be the voice of Captain Nemo in 20,000 Leagues Under the Sea, portraying a solid rendition actor James Mason’s voice...the performer from the movie. In the 1959 Disney hit, The Shaggy Dog, Frees came on -board the filming for a bit part as a psychiatrist. This was an example of the few times America actually caught a glimpse of the actor that was a voice of a thousand parts. In November of 1986, Paul Frees lost his life to a heart attack at the age of 66. Whether it was hearing the snobbish Von Drake or the Little Green Pea of Green Giant commercials, America lost a talented voice. 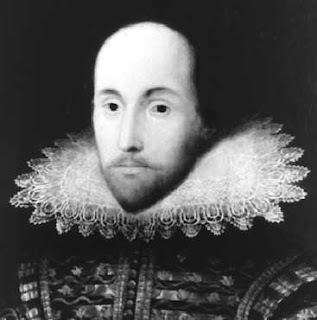 William Shakespeare's biggest claim to fame was...being William Shakespeare. He was born on this day in 1564, so let's take a moment to celebrate performances of Shakespeare works on old time radio. Orson Welles was a lover of the classics who cut his teeth as a stage actor acting in several Shakespeare classics. He produced and directed several, including some for the Federal Theatre Project in the early 1930's. On the air, he brought Shakespeare to life on his program Columbia Workshop, with adaptations of Hamlet and As You Like It. Shakespeare's plays were adapted on such programs as I'm Sorry I'll Read That Again, Suspense, and Theatre Guild. References to Shakespeare characters and phrases inspired titles of episodes of Gunsmoke, First Nighter, and Favorite Story. He is too big a figure in arts and literature not to have made his imprint on old time radio. Happy Birthday, Bard. November 8: Happy Birthday Norman Macdonnell! Norman Macdonnell, born in Pasadena, California on November 8th, 1916, was a radio and television and producer best known for helping to create the hit TV and radio series Gunsmoke. Macdonnell served in the military during World War II and took part in the invasion of Normandy. Macdonnell and writer John Meston helped to create Gunsmoke the first major adult western program on radio and TV. The program was launched on CBS radio in 1952. The stories for the program took place in and around Dodge City, Kansas during the development of the American West. The program was starkly somber, a sharp contrast from the childish nature of many other western programs on the radio. Macdonell went on to produce other popular radio dramas including Fort Laramie, Philip Marlowe and more! Macdonnell died on November 28th, 1979.